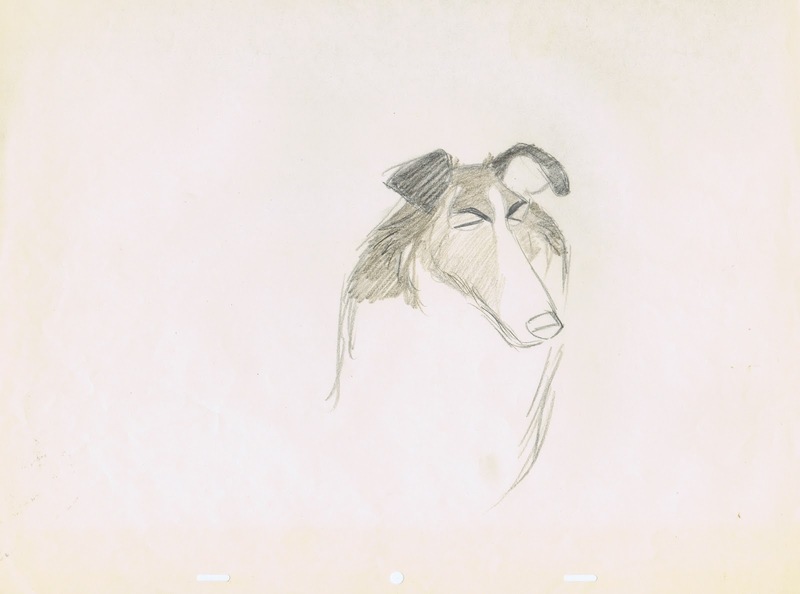 The Collie in 101 Dalmatians was animated by Julius Svendsen and voiced by actor Tom Conway who was the brother of George Sanders (Shere Khan). 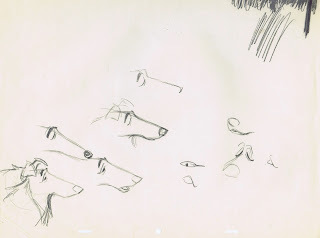 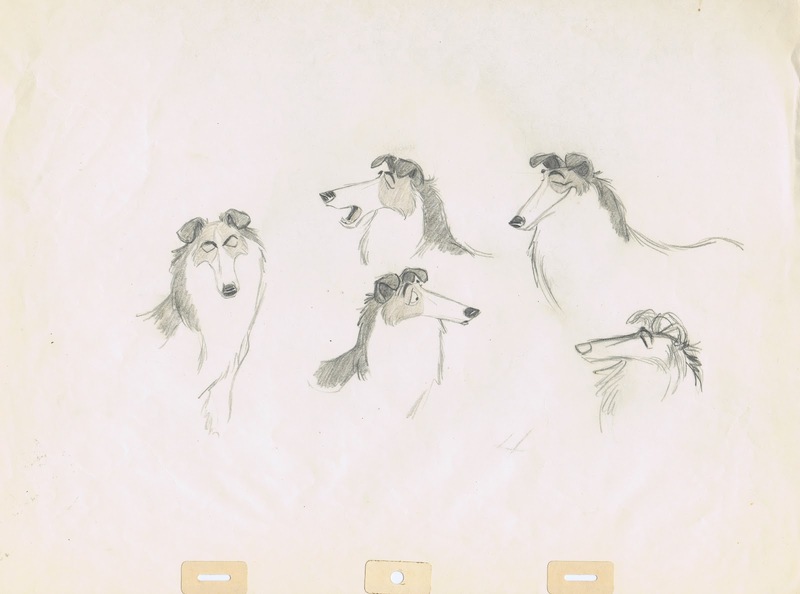 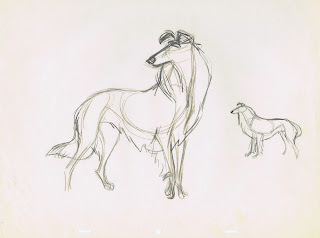 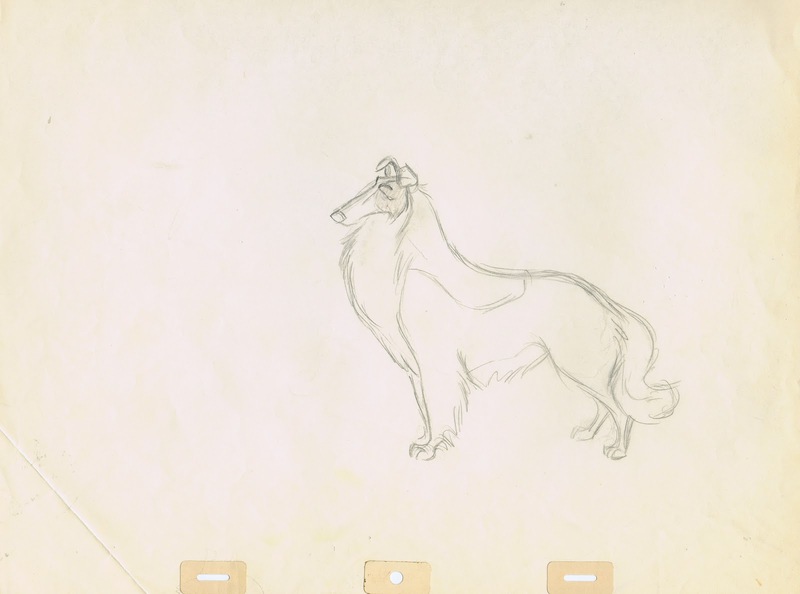 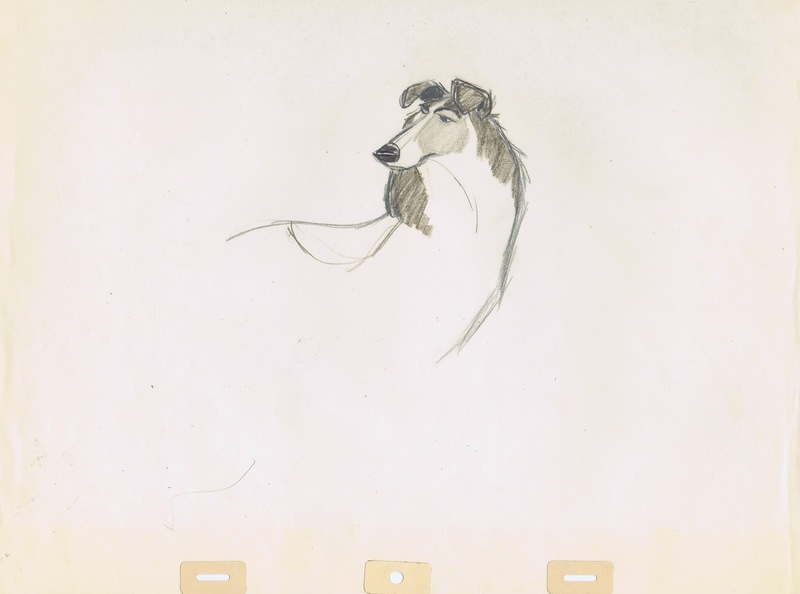 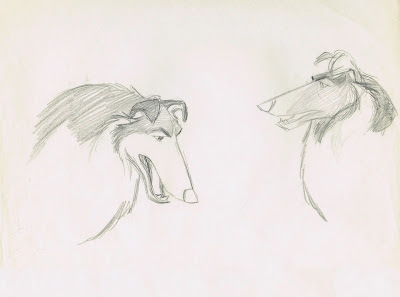 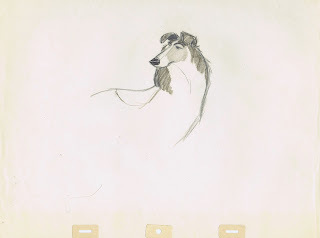 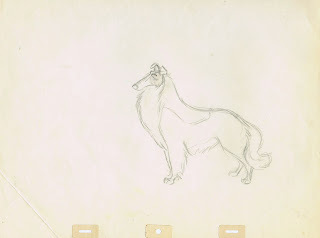 Milt Kahl drew these beautiful designs to explore the final look of the Collie. It isn't an easy thing to humanize a dog like this one, the long snout makes it difficult to portray a smile. 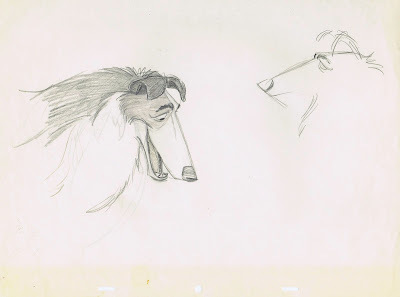 The edges of the mouth need to move close to the eyes, which could look awkward. 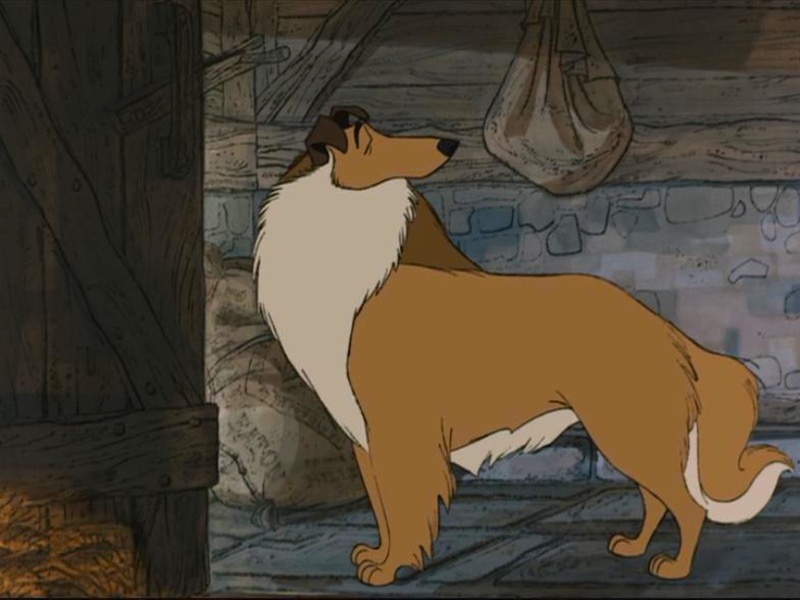 But if anybody could pull it off it would be Milt. 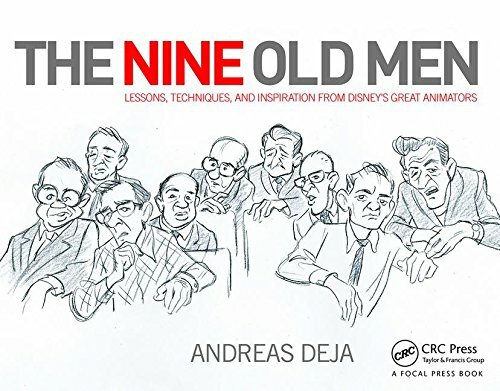 He had to deal with a similar challenge on characters like Bambi's mother, Prince Phillp's horse Samson and Frou Frou in The Aristocats.